The last year had to be great for Brantley Gilbert. In 2010, Jason Aldean released a new album and the first single was the title track written solely by Brantley Gilbert. My Kinda Party became a huge, huge hit for Aldean and it elevated Brantley’s status as well. I like to check in on the Billboard singles and albums charts each week and it seemed like in the latter half of 2010 Brantley’s album never left the top 35 or so. Now it’s 2011 and it looks to be another big year for Brantley including a big year as a singer. It looks like things might get started off with a new single from Aldean that Brantley had a hand in writing. I’ve been loving Aldean’s version of Dirt Road Anthem. 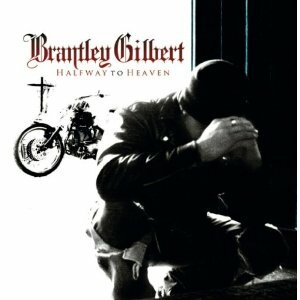 Brantley’s version is good as well and worth checking out. We’ll see what 2011 holds for Brantley, but until then I had to look more into his last song and video – My Kind of Crazy . I wrote about it before in an earlier article, but I came across it again today and listened a few times. My Kind of Crazy is a simple love song with plenty of heart and lots of good images. When you’re young and in love it can seem like you and your girl are the only two people in the world. It can also seem like you no one else in the world gets your relationship. All the little things you do together like dancing in front of the TV pretending to be rockstars. It’s weird to everyone else, but it’s wonderful when you’re part of it. I love My Kind of Crazy and wish it would have made it on radio. Brantley sings about the things going on in my life right now and that makes his music something special for me. I hope he can breakout even more in this next year. I looked into alot of Brantley Gilbert’s music also, and I can relate to the part where he sings about what going on in your life, because i feel the exact same way when I listen to his music. Jason Aldean does an amazing job and singing Brantley’s music, and hopefully there is much more to come. My Kinda Crazy, is an amazing song, and I wish it would have gotten to the radio also. I listen to the country station 24/7 and i’ve only heard two of his songs, My Kinda Party, the one Jason Aldean sings, and Kickin It In The Sticks, Which was actually sung by Brantley Gilbert, but i’ve only heard that one once. I’m hopeing since its a new year, and fans are more familiar with Brantley, that he comes out with more great songs.